These ones are spray painted gold and silver and decorate my kitchen – everyone comments on how lovely they look. These Command Damage Free Hanging Strips are brilliant. 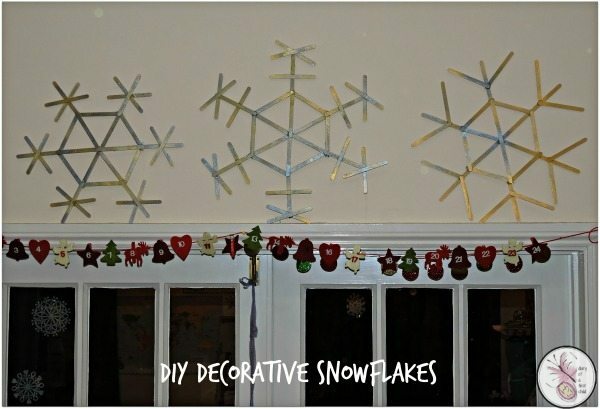 Stick one side to the wall and the other to the snowflakes. They don’t stain the walls or leave oily residue, shouldn’t pull off the paint and shouldn’t damage the walls. 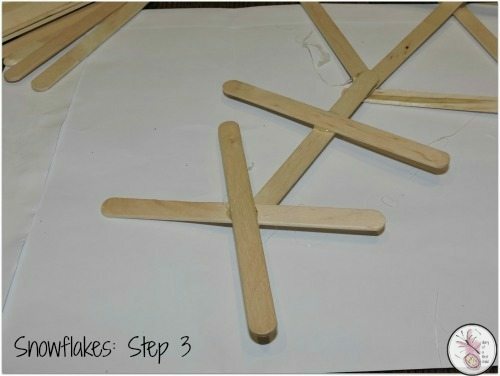 To create the snowflakes, start by gluing one end of the first lollipop stick (a) to another directly opposite (to make a straight line). Do the same with two more (b &c). Glue the other end of (a) to a new stick (d) and working quickly glue the other end of (d) to the end of (b) – it sounds more complicated than it is. 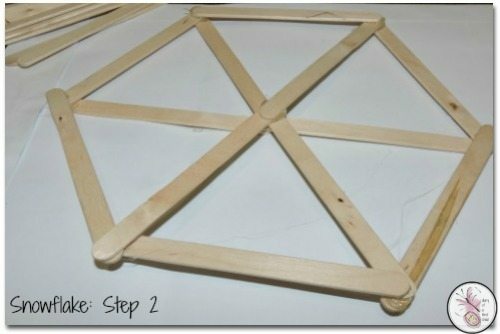 You’re basically just creating this shape. 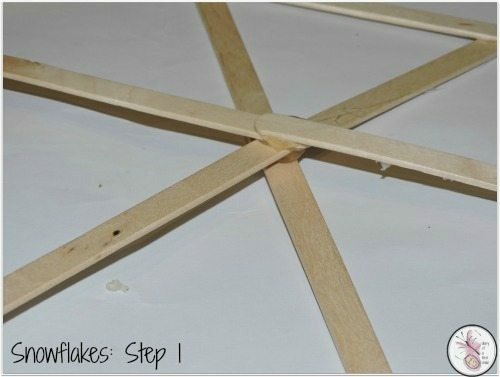 As you glue, add some to the top and some to the bottom so that you’re creating a relatively even object. Once your basic shape is created, you can make the individual parts unique. The finished product looks lovely decorating walls and I reckon the sturdier designs would make beautiful pot holders for a Christmas or winter dinner table too! You can use ribbons to decorate, or glitter pens – and the bonus is that with these being double sided, you could decorate them differently to meet different seasonal decor needs. 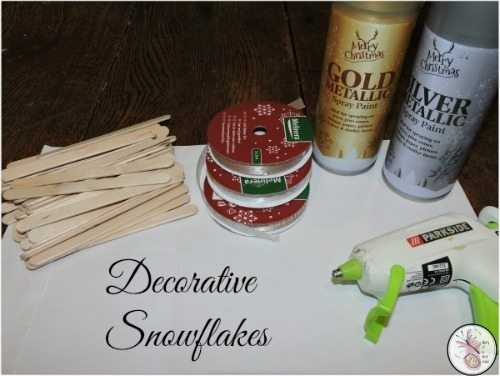 And an added bonus… making these snowflakes is very therapeutic!